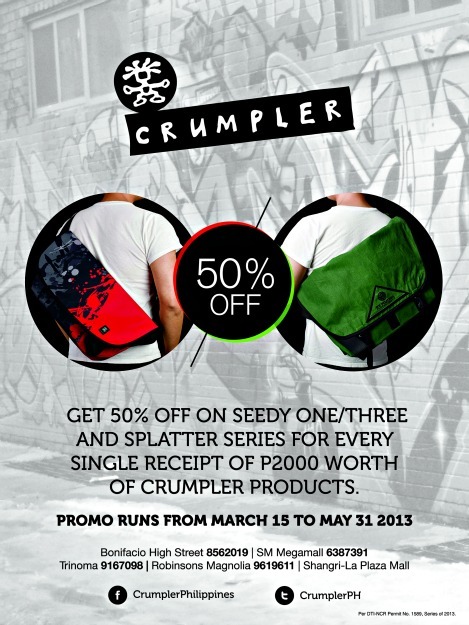 Crumpler Goes 50% Off on Seedy Splatter Series for every single receipt of P2,000 worth of Crumpler products. This promo is currently running until May 31, 2013 in all Crumpler stores nationwide. Like Crumpler on Facebook and Follow Crumpler on Twitter.